I'm sorry that the Uncanny X-Force #5.1 review is late but this was the hardest Point One review I have had to write. The story is the continuation of the current storyline from the first few issues. 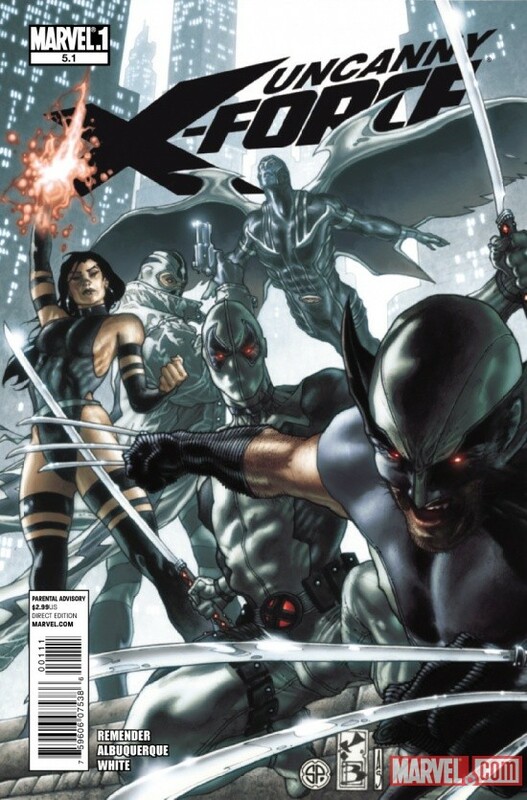 This is a team of asassians made up of former X-Men characters; some I know and some I don't. In this issue, they appear to be getting revenge on those that attacked them first. There is also a side story of killing a child clone of Apocalypse. Needless to say, this was a very dark issue, in both story and art. This issue did nothing for me. Didn't invoke any emotions, with the exception of being confused. Unlike the other Point One issues I read, I had no background on this issue. I do feel it may have been better if I knew the entire team. Since I have had very little exposure to mutants outside of the more popular ones, I had to rely on the story to drag me in. It referenced way too much without giving any detail. At the same time, it failed to make me invest in the characters. If the story had spent a little more time on the characters, it may have pulled me in rather than push me away. This is a hard book to jump into when you just don't have any background. When reading this issue, I did feel like it would better suit a current Marvel reader who had read other X-Men books. The Point One initiative is supposed to reach not just in the dark readers like me but also consistent comic readers who just haven't read a certain title. In the latter, this fulfills their goal. However, since it is so low in the issue count, if you like this issue it won't be hard to catch up.